Michael Rossler, a rising senior at Hall, is a skilled writer and photographer. 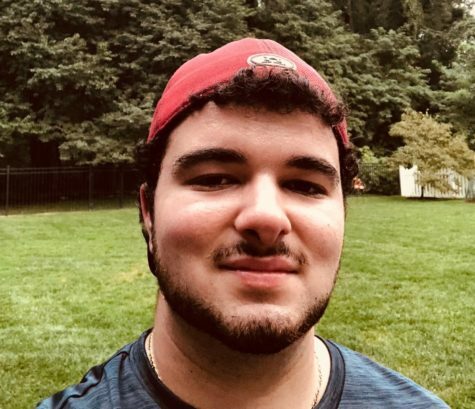 Born and raised in Connecticut, the 17 year old often spends time doing landscape design, carpentry, and, most importantly, playing video games. His major goal after high school is to run a business centered around landscaping and lawn care, which he’s “already been doing both for six years.” There’s definitely a high chance of this business succeeding, mainly due to Michael’s creativity in planning and keen attention to detail, which leads into his journalistic work, as well. Michael’s aspirations in journalism center on his desire for a greater understanding of the process. “I think the power of words is fascinating,” he states. He goes on to mention the importance of writing and its relation to history-- one of his major interests alongside global news. Although it will be his first time truly writing for a newspaper, Michael is not one to shy away from a challenge; his versatility and knowledge of the importance of news certainly show that much. “Journalism is an integral part of everything we know. Everything we see nowadays is some form of journalism, from Snapchat celebrity stories to the six-o’clock news.” With words like these, one can see the thoughtful writer within, simply waiting for a story.